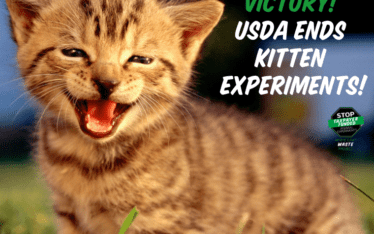 Last year, White Coat Waste Project exposed the National Toxicology Program’s (NTP) taxpayer-funded animal tests for so-called “abortion herbs” and cosmetics ingredients. It turns out, the problem is even worse than we knew. 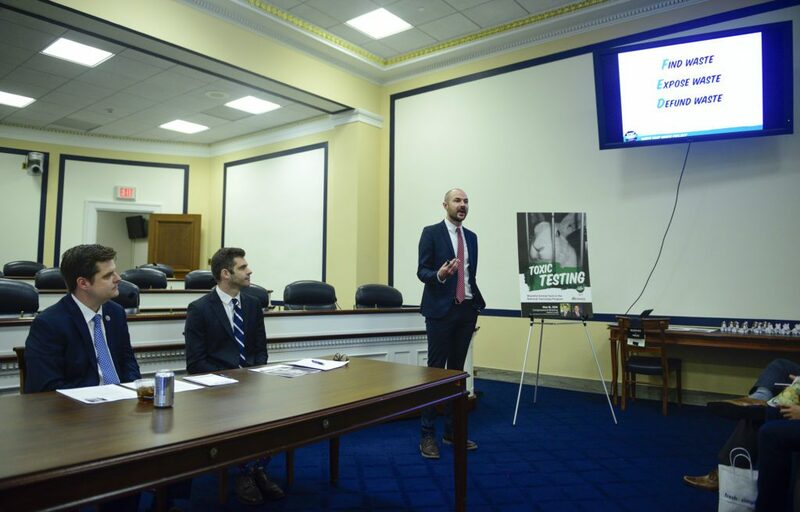 This morning, WCW and the New England Anti-Vivisection Society hosted a Congressional briefing in Washington, D.C. to release a new report exposing hundreds of wasteful NTP animal tests and calling into question Uncle Sam’s efforts to reduce this taxpayer-funded abuse. 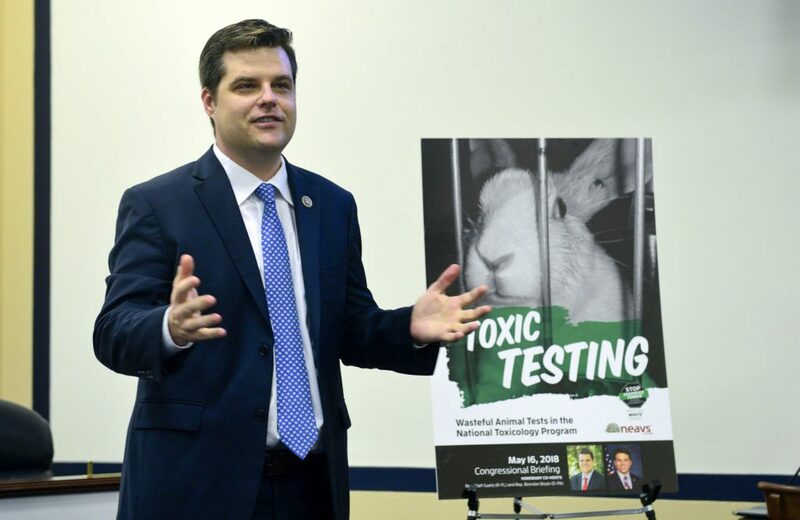 The bipartisan briefing was co-hosted by Congressmen Matt Gaetz (R-FL) and Brendan Boyle (D-PA), both outstanding leaders on this issue who were recognized as 2017 WCW Waste Warriors. The report offers recommendations for reforms and also highlights recent high profile examples of wasteful NTP testing that WCW recently criticized. This includes at least $25 million and 10 years spent to blast 3,000 animals with cell phone radiation equivalent to 10 iPhones all day, every day for two years. NTP also force-fed thousands of animals coffee and French fry by-products in doses 1,000 to 10,000 times larger than humans consume. 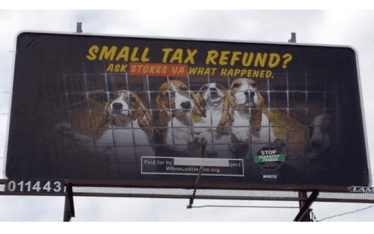 Unsurprisingly, these animal tests were deemed irrelevant to humans. 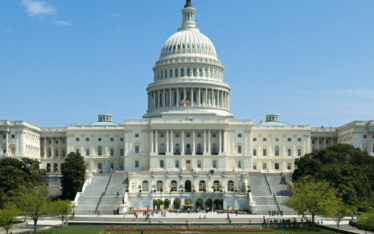 WCW is working with Congress to pass the bipartisan Federal Accountability in Chemical Testing (FACT) Act to improve the government program responsible for promoting the replacement of wasteful animal testing. Take action below!